Pulsus Group invites all the participants across the globe to attend the Advanced Neurology 2018 event. On December 03-04, 2018, this conference will be organised in the beautiful city of Madrid, Spain. Advanced Neurology 2018 has been designed to provide an International platform to researchers to share their experiences & ideas through the presentations & research talks. The upcoming World Conference on Neurology and Therapeutics aims to bring together internationally renowned scientists, research scholars and students from all around the globe to exchange & share their ideas and explore the practical challenges encountered and resolutions adopted by them in the fields of Neurology, Neuroscience and Neurobiology. The conference will focus around the theme “Accelerating the Novel Therapies and Recent Innovations in Neurology and Therapeutics for Wellbeing”. Neurology implies the branch of medicine pertaining to the study and treatment of disorders of the nervous system, including their coverings, blood vessels, and all effector tissue, such as muscle. The nervous system is a complex, sophisticated system that regulates and coordinates body activities. Neurology covers their diagnosis, the understanding of underlying mechanisms and management. Neurology is a constantly evolving field parallel to the development of the neurosciences and overlaps with numerous other medical specialties, in particular neurosurgery, psychiatry, clinical genetics, pediatrics, rehabilitation, internal medicine and public health. The World Conference on Neurology and Therapeutics is a unique gathering to bring together worldwide distinguished academics and industries professional in the field of neuroscience and neurology researchers, scientists, academic scientists, industry researchers, scholars to exchange the knowledge & ideas of the research and technologies. The conference will focused on stimulating the recent research and novel therapy for Wellbeing. 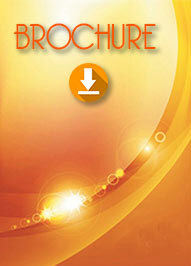 A Unique Opportunity for Exhibitors, Advertisers and Sponsors at this International event. We provide the opportunities to pharmaceutical companies, hospitals, research centers, authors, associations, etc. 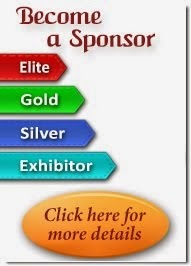 to sponsor/exhibit their product at Advanced Neurology 2018 conference.